Chubb's profits crashed by 83% in the fourth quarter of 2001 as the US insurer suffered heavy losses from the collapse of Enron. The company has put aside $220m (£155m) to cover potential losses from the energy trader's collapse. It had invested in Enron's surety bonds. Rating agency AM Best places Chubb as thirteenth largest US property and casualty insurer based on net written premiums in 2000. Net earnings were $28.7m (£20.2m), or 16 cents (11p) a share, down from $168.4m (£118.4m), or 95 cents (67p), in the same quarter the previous year. The earnings were below market expectations of 43 cents (30p) a share. Net premiums rose 9.9% during 2001 to $7bn, with a combined ratio of 113.4%. Excluding losses from the 11 September tragedy, the combined ratio was 100.4%. The combined ratio measures an insurer's claims and expenses compared to the premiums it earns. It is expressed as a percentage. A figure over 100 shows the company is losing money on its underwriting. During 2001, Chubb's commercial insurance operations had a combined ratio of 110.5% and net premiums grew 6.4%. 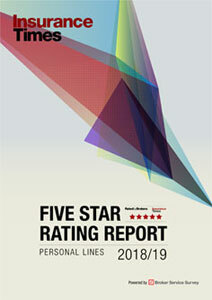 The personal lines business achieved a combined ratio of 101.3% and net premiums grew 15%. Chubb's specialty operations achieved a combined ratio of 125.5% and net premiums grew 9.7%. Over the fourth quarter Chubb's commercial insurance operations achieved a combined ratio of 102.4% with premium growth of 16%. In personal lines it achieved a combined ratio of 98.4% and premiums grew by 13.9% in the fourth quarter. The company's specialty operations achieved a combined ratio of 131.9% and premium growth of 10.4% in the fourth quarter. 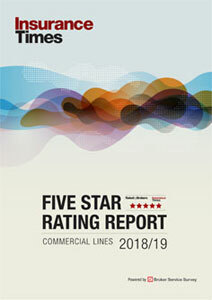 Chairman Dean O'Hare said: "We believe the long-awaited hard market has arrived and it is evident not only in improved rates, but also in better terms and conditions and the ability to be more selective in assuming risks." Analyst Michael Paisan of Williams Capital Group in New York said: "The company is well positioned for the fundamental improvement we're getting in the industry post-11 September and post-Enron." He said Chubb's $220m reserve for its potential Enron losses was "sufficient" and represented a "worst case scenario" of its liabilities. "It's for surety bonds, which are contractual," he said.